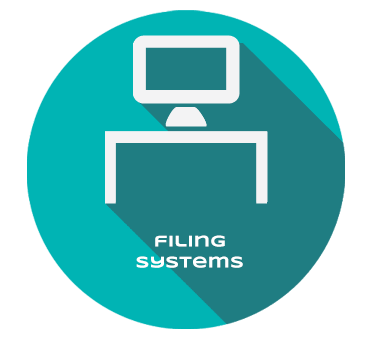 Conventional, static shelving takes up to twice as much space than the alternative of mobile filing and storage systems. 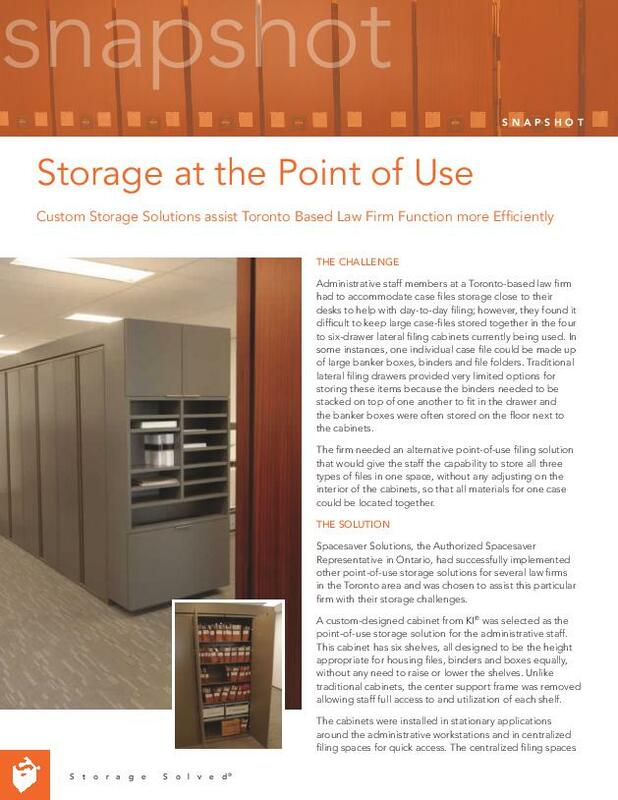 By organizing all of your current legal library books and reference collections into customized, compact shelving, your firm will actually gain space, which can be used to better your work environment. 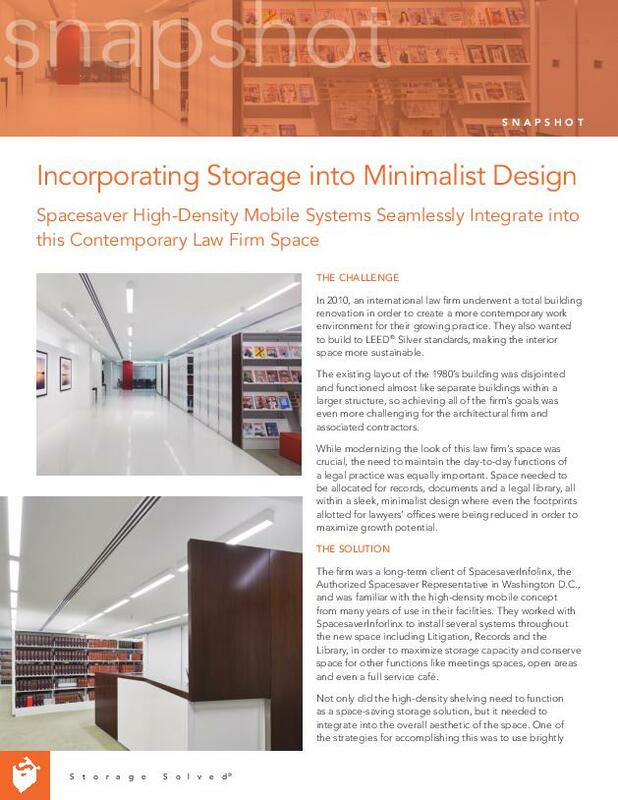 Achieve an office space that is both functional and versatile with legal law library storage systems from Spacesaver. 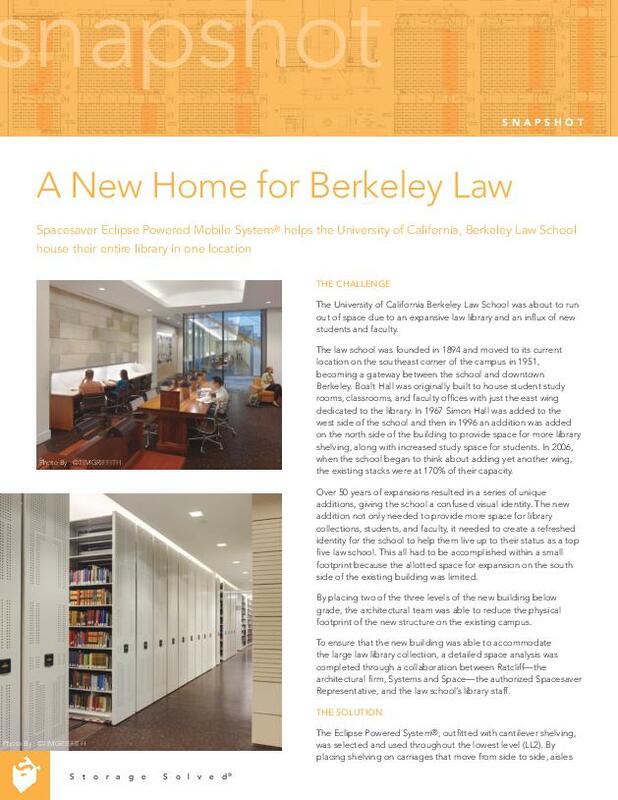 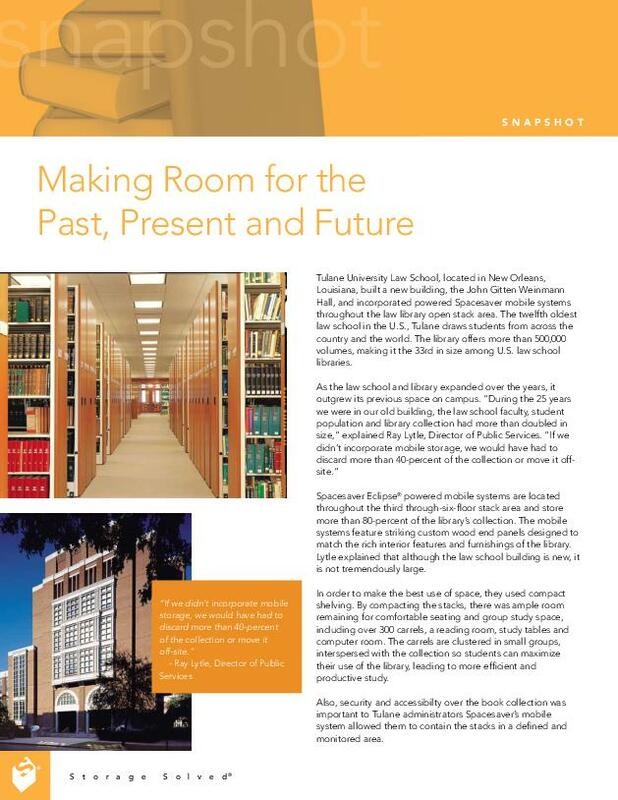 Download the featured case study to explore how Berkeley Law used Spacesaver mobile shelving to move the entire library collection (close to 875,000 volumes and volume equivalents) to one location, using only 85% of the allotted floor space.